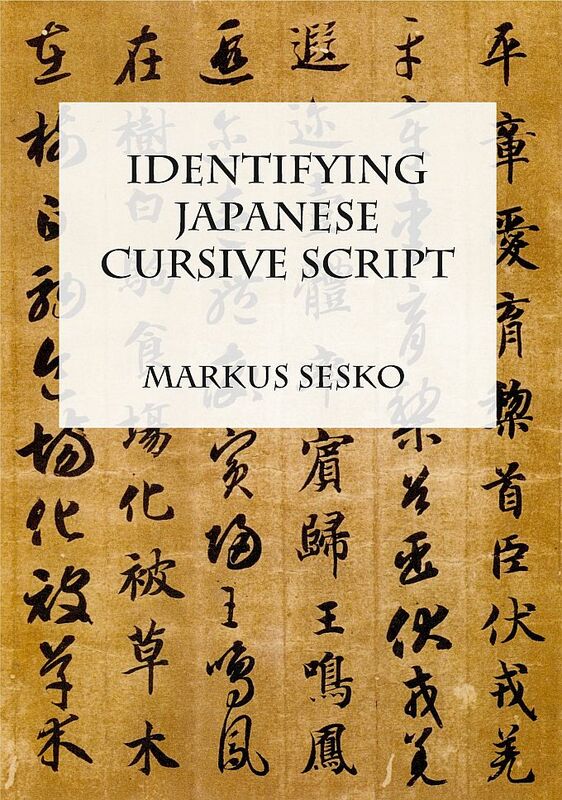 This latest publication is for all “decipherers” out there which need a guide and reference when struggling with Japanese cursive script (sôsho). When you are facing a character written in cursive script, identification by the number of strokes cannot be applied any longer as the abbreviated writing style omits certain strokes. So the only effective way of identification is by its radical. What makes identifying cursive script so difficult is that the radicals of course are also written in an abbreviated manner and that several radicals look quite the same in their abbreviated form. For that, this dictionary offers a RADICAL SECTION which provides several examples of how each radical appears in its cursive writing. A match with the supposed radical of the cursive character takes you to the page which lists characters grouped under that radical. This dictionary contains approximately 5.300 characters, but is not meant as a cursive script dictionary with different handwritings of each cursive character, as the aim is to provide a basic guide and reference for identifying them. There is a paperback, a hardcover, and an eBook version available.